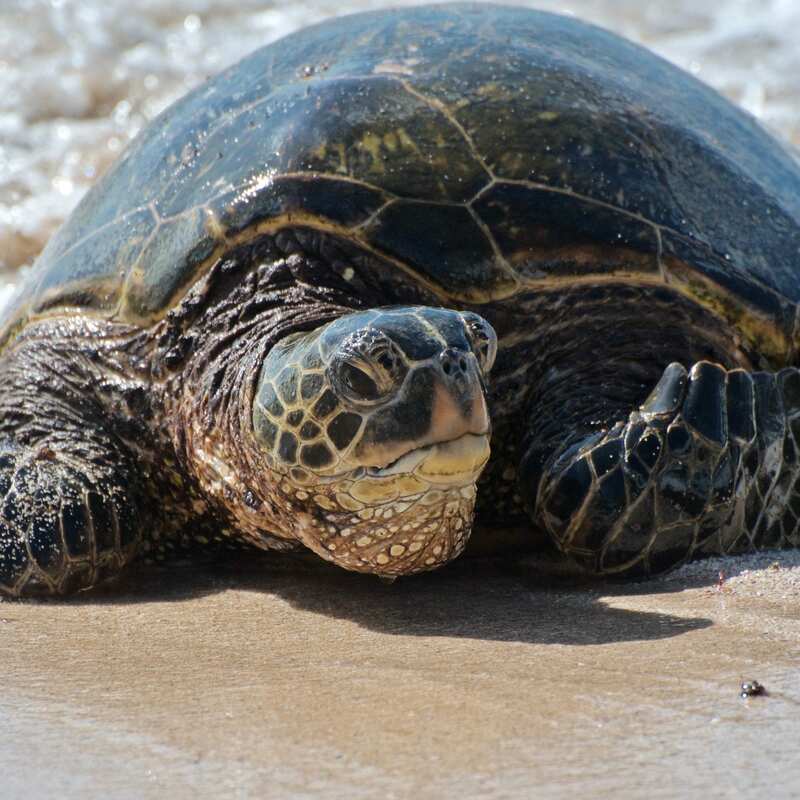 As indigenous species in Hawai‘i, sea turtles play an important role in Hawaiian cultural traditions and mo‘olelo (stories). Honu (green turtle) and honu‘ea (hawksbill turtle) are mentioned in the fourth verse of the Kumulipo, the Hawaiian creation chant. 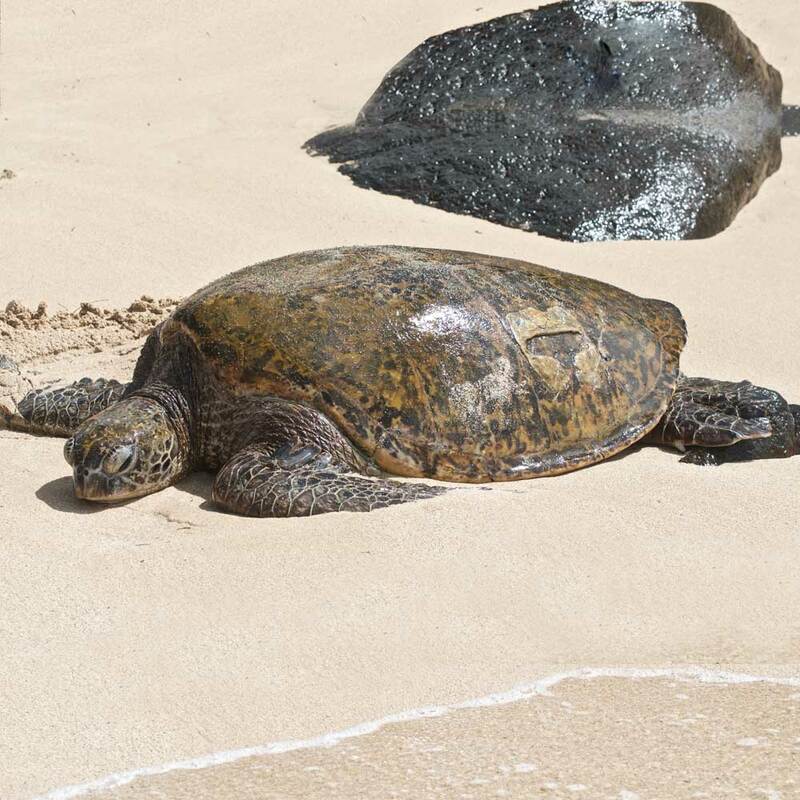 Some families continue to revere sea turtles as their ‘aumākua, spiritual guardian. Traditionally, sea turtles were incorporated into native practices, religious ceremonies, and diet. Shells, bones and oil were used to make fish hooks, tools, medicine, and jewelry. Harvest was tightly regulated by traditional management practices of the kapu system (cultural rules, code of conduct) enacted by Chiefs or Ali‘i. 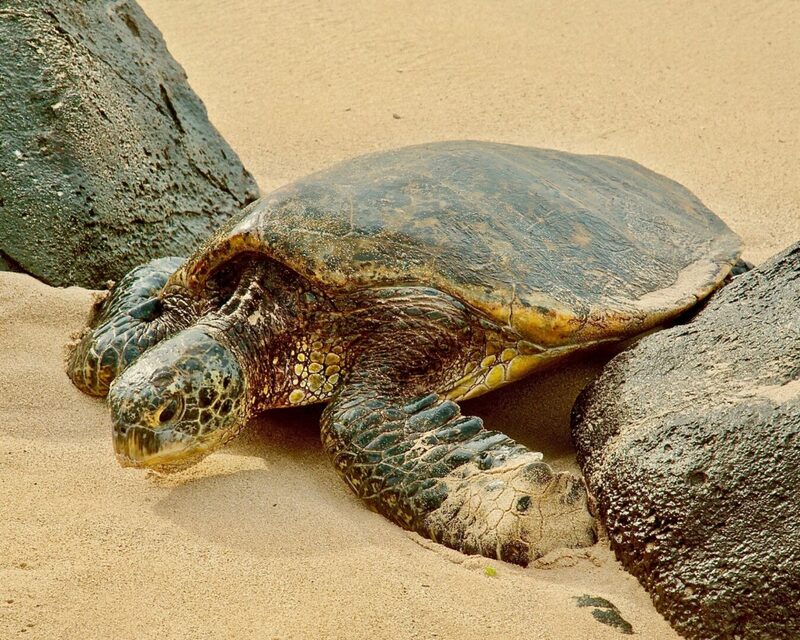 Historically, honu were abundant and nested throughout the entire Hawaiian Archipelago. However, after European colonization the kapu prohibition broke down and by the 20th century, harvesting had become commercialized, causing the honu’s numbers to fall precipitously. Today, the Hawaiian green sea turtle is a "Threatened Species," under the Federal Endangered Species Act. Since receiving the protection of that act in 1978, the Honu have made a marvelous comeback and in recent years have experienced an increase in their numbers in excess of 5% annually. 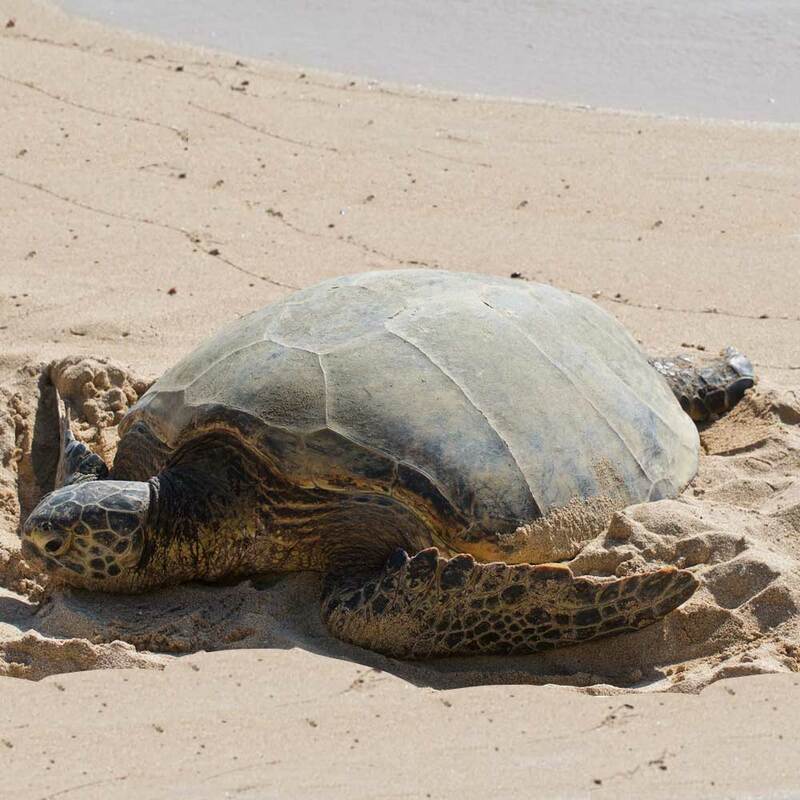 Their protection while peacefully basking on the beach and spreading the word to the public of the continuing need for preservation efforts on their behalf is the mission of Malama na Honu. Our volunteers successfully accomplish this primarily through education at the beach and in schools throughout O`ahu, all done “in the spirit of Aloha.” Our efforts are focused on the North Shore of Oahu. More than ever, it is necessary for the education of residents and visitors alike to treat them with respect. Honu Guardian volunteers are on the beach every day of the year to offer educational outreach about this protected species. This helps avoid intentional and inadvertent harassment and assures the honu’s peaceful coexistence with humans on our beaches. Malama na Honu is a non-profit 501(c)(3) corporation, established in the State of Hawaii, and at any given time has in excess of 95 active volunteers who help carry out its protective and educational mission.